The Center for Sustainable Development reports that while the building industry represents over half the nation’s wealth, few home developers have embraced green building to specifically reduce the impact of traditional concepts of construction on the environment. In point of fact, traditional buildings consume up to 50percent of the world’s energy, with wood harvest and water accounting to 25 % and 16 %, respectively. However, with sustainable building practices, not only will Indoor Environmental Quality improve, but also will the buildings be healthier and more comfortable for occupants. Green building helps reduce the negative impacts that building operation and maintenance have on people and nature. Realtors also praise sustainable construction materials for their qualities for energy efficiency and noise reduction, which make for good leverage for insurance discounts. International development regulations and clean environment evangelists equally advocate for green building as it helps cut on CO2 emissions. These sustainable technologies have resulted in drastic reduction the emission of greenhouse gases, thus reducing the demand building places on fossil fuels. One of these building techniques is the use of Plastic Concrete Forms. Builders use concrete forms to create cast-in-place walls by sandwiching concrete between insulation blocks. These formwork systems require less time to erect as compared to traditions forms of building with solid wood. 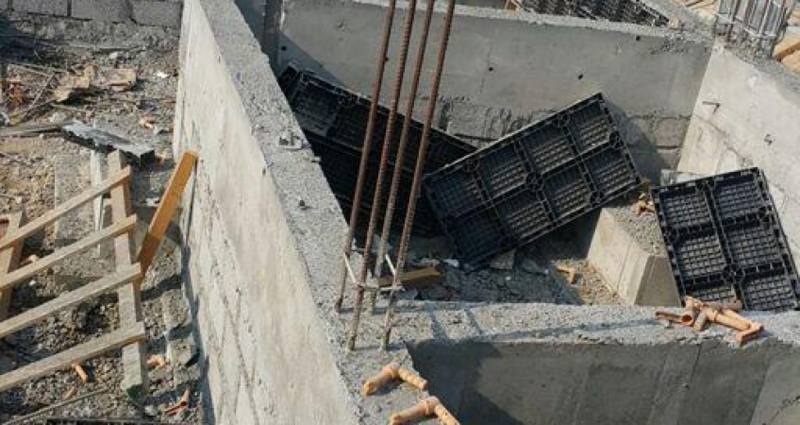 Additionally, plastic concrete formwork provide an extremely efficient and durable high mass building shell which ensures the living conditions are safe and comfortable throughout the year. 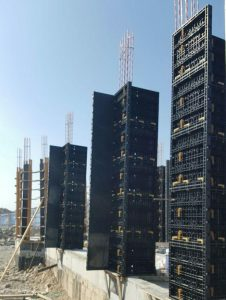 BOFU plastic formwork system for column in Saudi Arabia. One typicaluse for concrete formworks is in low-rise buildings for both commercial and residential purpose.Calculated efforts in creating advanced concrete forms have also attracted applications in industrial property markets, chiefly since the structures are stronger and typically thicker than those of traditional buildings. Both builders and property owners benefit from the use of plastic concrtete formwork. From building structures with concrete formworks, owners enjoy overall comfort and costs savings from the use of energy efficient materials; sound-blocking and disaster-resistant walls; and general mold, rot and mildew resistant structures. 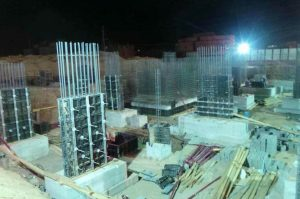 On the other hand, builders appreciate the flexibility of the formwork for easy construction, meaning they will spend less time to complete building projects; the ability of the concrete forms to meet energy codes with less complicated installation procedures; and the compatibility of concrete formwork with carpenter trades. Plastic concrete formworks are also light in weight, thus reducing expenses on freight services. The potential to significantly reduce energy demands for general heating and cooling of buildings, however, remains as the primary appeal of using plastic concrete forms in the building and construction industry. Fiscal estimates place energy savings at figures above 20 percent since the typical R-value of plastic formworks stands at about 20, which means a single house can save the environment almost 110 tons more of CO2, associated with cement production, compared to traditional wood-framed houses.